There is only a month left in this year. December has another name, “Shiwasu” in Japan. 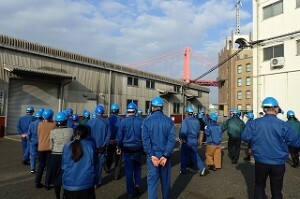 It means even a “shi” runs around because they are busy to preparing for the events toward end of the year. Shi refers to teacher or master of Buddhist monks. 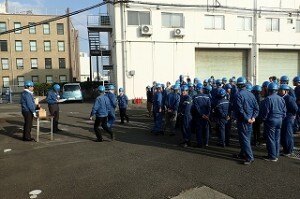 NSTC staff are also flit hither and thither in an effort to become “master”. We only had one day FOET course this week, however, all the staff hustle every day in order to build up their skills. Some of them travel to give lecture, some travel to take a seminar, others invite instructor to receive in-house training, etc. 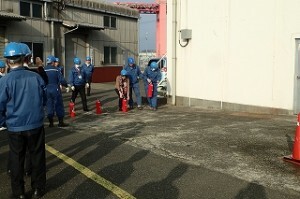 We also participated in annual emergency drill that is for not only for NSTC staff but also all the employees in our company. A part of the drill, NSTC offer the training of how to use firefighting equipment and AED including CPR skills every year. I would like to introduce you some of the scenes from the drill. 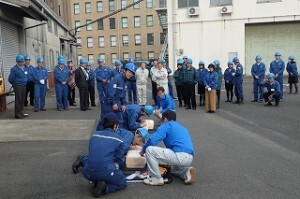 Both emergency drill and survival training are trainings for just in case of emergency. It result in different behavior, calm and appropriate reaction, if the one has regular practice in case of emergency. Forewarned is forearmed. There are only a little days left in this year, NSTC will rocket over toward 2017!